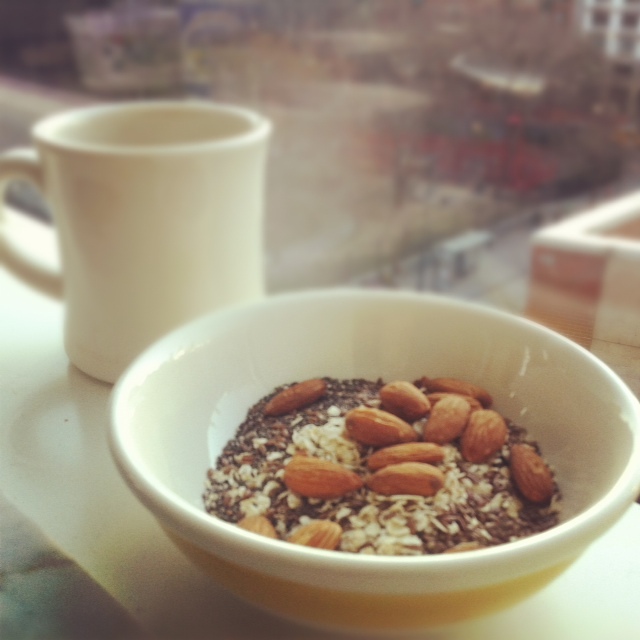 The Mix: two packets of plain instant oatmeal, flaxseeds, chia seeds, roasted almonds, and low-fat milk. The Story: Instant oats taste like paste. The fact that I eat them a few times a week should tell you something about my culinary skills. Reading Bec's mouthwatering Oats of the Week posts gave me the idea that a few crunchy mix-ins could improve the texture of my instant oats and add more taste and nutrients. 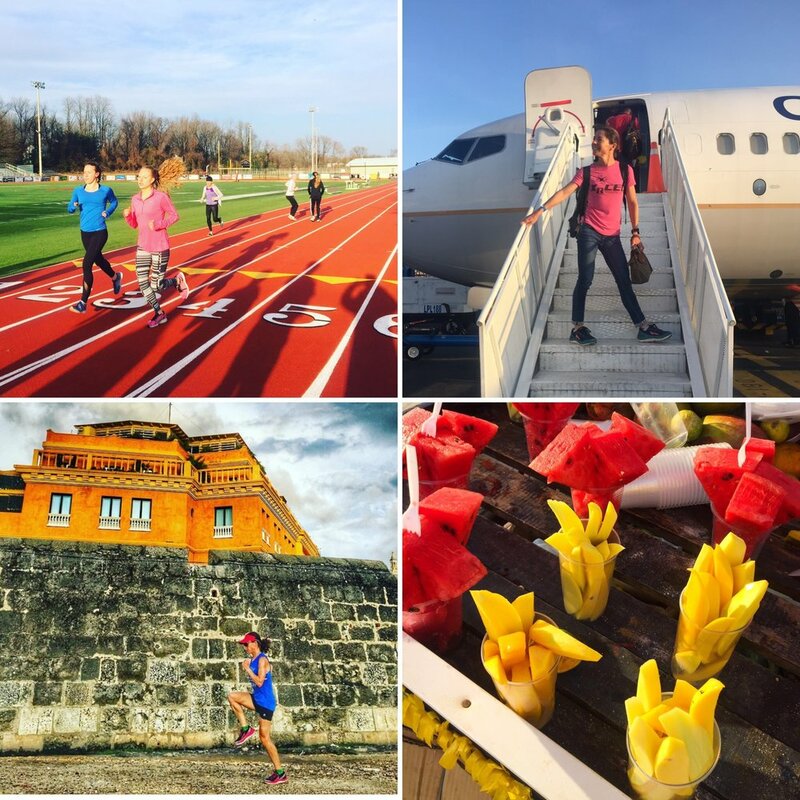 The Workout: 4x1 mile at 10K race pace, 5x600 at 5K race pace at the Weehawken Track. The Instructions: Empty 2 packets of plain oats into a bowl. Add a handful of whole roasted almonds (no chopping necessary!) and 1 heaping teaspoon each of flaxseeds and chia seeds. Pour a 1/2 cup of boiling water over oats. Let sit for 2 to 3 minutes and top with a splash of low-fat milk.